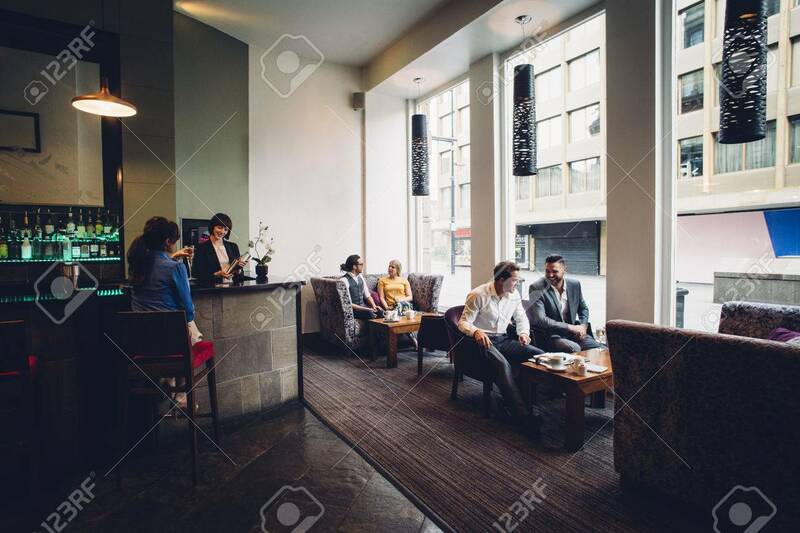 Full Room Shot Of An Active Hotel Bar And Cafe. There Are People Sitting And Drinking. Two Business Men Are Discussing Work. Royalty Free Fotografie A Reklamní Fotografie. Image 60243902. Reklamní fotografie - Full room shot of an active hotel bar and cafe. There are people sitting and drinking. Two business men are discussing work. Full room shot of an active hotel bar and cafe. There are people sitting and drinking. Two business men are discussing work.